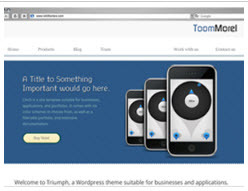 ToomMorel Lite is free Business or Personal Use wordpress theme with several background patterns and Theme Options and Templates for Blogs, Gallery, Fullwidth Page without sidebar and Contact Us Page. 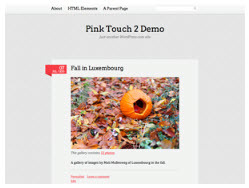 Pink Touch 2 is free wordpress theme with mix of color, texture and typography.It supports custom header, custom background,three widget areas in the footer,post formats including aside, gallery, image, quote, link, chat, and audio. 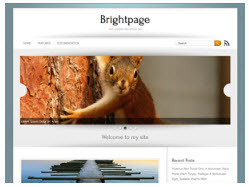 BlogoLife is a free HTML5 and CSS3 wordpress theme for personal blogging.It supports post formats, custom background, custom header and multiple color schemes. thanks for themes information, i tried ToomMorel Lite for my blog, but it hasnt met my expectations..